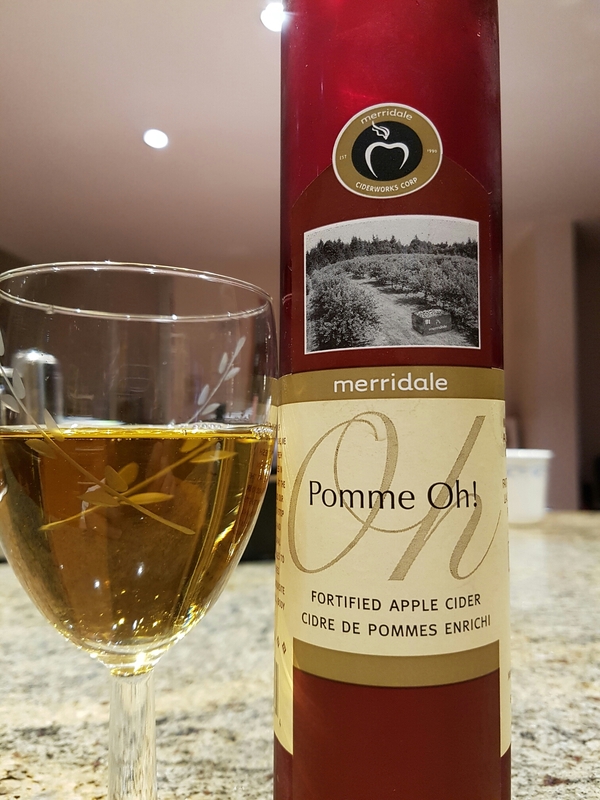 Pomme Oh! – Merridale Ciderworks (Cobble Hill, BC, Canada) | Justintoxicated. 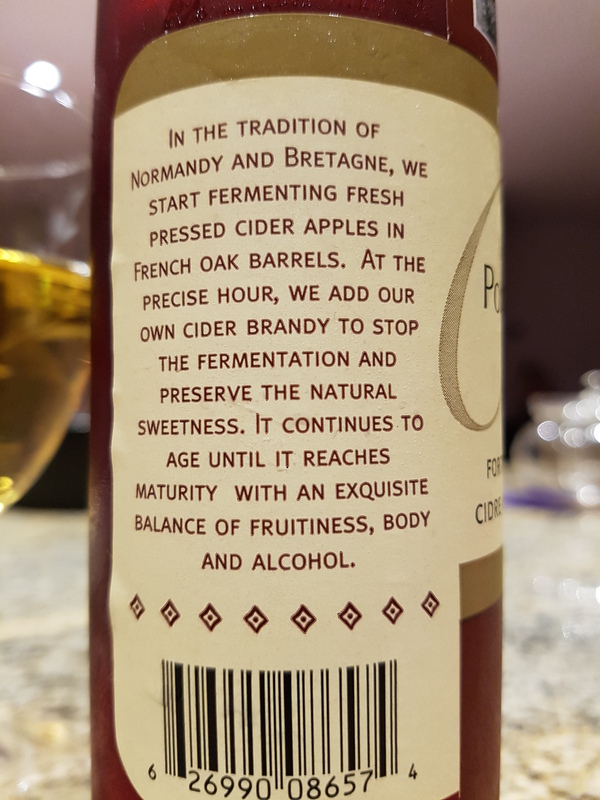 “In the tradition of Normandy and Bretagne, we started fermenting fresh pressed cider apples in French oak barrels. At the precise hour, we add our own cider brandy to stop the fermentation and preserve the natural sweetness. It continues to age until it reaches maturity with an exquisite balance of fruitiness, body and alcohol. Visual: (cellared for 4 years). Synthetic cork. Pours crystal clear light apple juice yellow. Finish: mild tongue numbness, residual tangy-juicy, light oaked apple exhale. Summary: Very juicy and drinkable, although somewhat simplistic watery-bodied mids. It drinks very easily for a 20%’er.